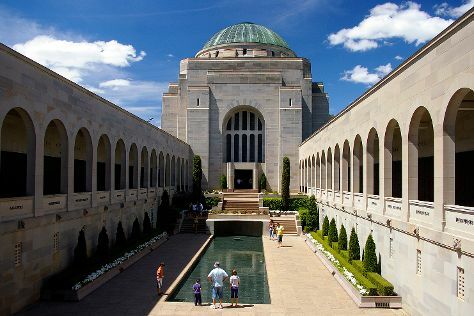 Start off your visit on the 4th (Mon): take an in-depth tour of Australian War Memorial, view the masterpieces at Scott Leggo Gallery, then explore the world behind art at National Gallery of Australia, and finally explore the activities along Lake Burley Griffin. On the 5th (Tue), you'll have a packed day of sightseeing: explore the wealth of natural beauty at Australian National Botanic Gardens and then get to know the fascinating history of Canberra Rotary Peace Bell. To see ratings, traveler tips, where to stay, and other tourist information, refer to the Canberra road trip planner . If you are flying in from United States, the closest major airport is Canberra International Airport. In March, plan for daily highs up to 78°F, and evening lows to 52°F. Finish your sightseeing early on the 5th (Tue) to allow enough time to travel back home.